Johnson & Johnson has long maintained that its baby powder products are safe and pure, and do not contain asbestos and and never did. However, in recent years, thousands of lawsuits have been filed across the country alleging that its talcum powder causes cancer. During these trials, internal J&J documents reviewed by scientific experts have been revealed that indicate the company knew its powder was sometimes tainted with asbestos, and the healthcare giant kept that information from federal regulators and consumers. 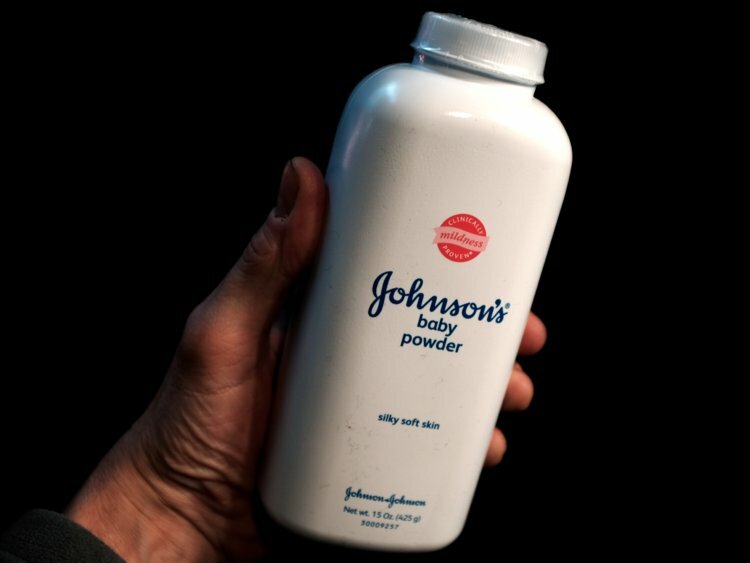 One of the first baby powder lawsuits was in 1999 when a woman developed mesothelioma that she suspected was from using Johnson & Johnson Baby Powder on herself and her children in the 1960s. However, the woman, Darlene Coker, did not have sufficient evidence showing that the powder contained asbestos. J&J was able to avoid giving over talc test results and other records Coker’s attorney requested to make its case. (Reuters.com). However, more 20 years later, the documentation that Coker and her attorney wanted is emerging. J&J has been forced to share thousands of pages of company documents, memos, internal reports and other confidential information with lawyer for some of the 11,000 plaintiffs that claim that the firms’ talc caused their ovarian cancer, mesothelioma and other cancers. A recent Reuters examination of those documents by experts in the field shows that from 1971 to 2000, the raw talc and finished powders from J&J would sometimes test positive for small levels of asbestos. It also was shown that company executives, mine managers, scientists, doctors and attorneys were worried about the problem and how to address it. But they did not disclose the information to regulators or consumers. The revealed documents also show successful efforts to influence regulators’ efforts to reduce asbestos in talc products. A small number of the key documents have been shown at trial and been cited in various media reports. Many of the reports were withheld from public view due to orders from the court that allowed the company to hand over thousands of documents that were deemed confidential. Much of that content is now being reported for the first time this year. The earliest mention of asbestos-tainted talc by J&J that was discovered by Reuters was in 1957 and 1958. (Documentcloud.org). The documents describe talc contaminants from J&J’s supplier in Italy. It noted the contaminants were fibrous and needle like, which is a good description of tremolite-type asbestos. That is one of the six minerals that occur naturally that are scientifically known as asbestos. At various times in the 2000s, reports by J&J scientists, outside laboratories and J&J’s suppliers showed similar results. The reports show that contaminants in talc in finished baby powder products were asbestos, or describe them in ways that are commonly described in asbestos, including ‘rods’ and ‘fiberform.’ (Documentcloud.org). In 1976, the FDA was weighing limits on asbestos in cosmetic talc products. J&J made assurances to the regulator that there was no asbestos detected in any samples of talc that were produced in 1972 and 1973. However, it failed to inform FDA that three tests by various labs from 1972 to 1975 did find asbestos in their talc. In one of the reports, the level was reported as being ‘quite high.’ (Documentcloud.org). More J&J asbestos test reports that were reviewed did not indicate there was asbestos in their talc products. But while the testing methods by the company did get better over the years, they always had some limitations that allowed trace contaminants to not be detected. And, only a tiny fraction of the company’s products ever underwent these tests. The WHO and other international health organizations do not recognize any safe level of exposure to the toxic material. It is true that most people never develop cancer from asbestos exposure, but for some people, even trace amounts can trigger a cancer decades later. Just how small the amount of exposure can be to cause cancer in some people is unclear. Many plaintiffs in current legal actions say the amounts of powder they inhaled as they dusted themselves with baby powder was enough to lead to cancer. As more legal actions have developed over the years, the evidence of what the company knew started to surface. People who thought their talc use caused their cancer hired attorneys who are experienced in asbestos litigation. Some attorneys knew from the earlier legal cases that producers of talc did test for asbestos. So they started to demand that J&J produce its testing documentation. The documents the healthcare company produced in response to those legal demands has allowed more attorneys for plaintiffs to make a more refined argument: The actual culprit was not the talc; it was the asbestos in the talc. That assertion is backed by decades of proof that shows that asbestos exposure can cause mesothelioma and ovarian cancer. Even though experts say and J&J internal documents show that asbestos was sometimes found in its products, legal case results making this argument have been mixed. In 2018 in New Jersey and California, juries did aware large amounts to plaintiffs who claimed J&J talc products containing asbestos caused their mesothelioma. Another verdict in St. Louis was a major legal precedent that could increase the liability for J&J. The 22 plaintiffs in that case were the first to succeed with a claim that Baby Powder and Shower to Shower talc, a major brand the company sold as recently as 2012, led to ovarian cancer. That cancer is much more common than mesothelioma. The jury awarded the group $4.6 billion in damages. (CVN.com). Most of the baby powder cases have been filed by women with ovarian cancer who said they would use the company’s talc products as a perineal antiperspirant and deodorant. However, other juries rejected claims that the baby powder was tainted with the deadly substance, or that it led to mesothelioma. Other cases have failed to reach a verdict, which has led to some mistrials. Even with so much expert and document evidence against it, J&J has claimed it will appeal the recent verdicts. It continues to argue that its talc products are safe, and the documents it has divulged just show the company takes care to ensure its products are free of asbestos. It has blamed the court losses on confusion by the jury, junk science and unfair rulings by the courts. 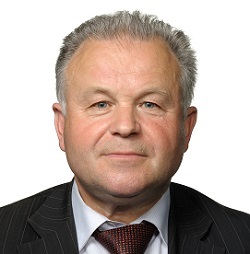 The company’s lead attorney on these asbestos cases is Peter Bicks. He has emailed responses to Reuters that the findings in the documents are ‘misleading and false.’ Bicks said that the general consensus in the scientific community is that talc that is used in baby powders is safe and does not lead to cancer, no matter what the talc contains. Still, the evidence revealed against the company has been damning, and experts will continue to argue in court that Johnson & Johnson Baby Powder can lead to major cancers, including ovarian cancer and mesothelioma.